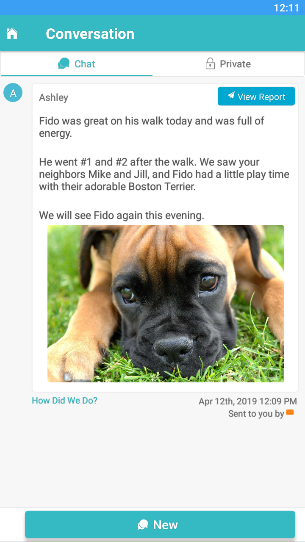 The Conversation Feed allows you to communicate directly with your pet care company. All messages sent to and from your pet care company will be listed here. To send a message, simply click the "New" button at the bottom. 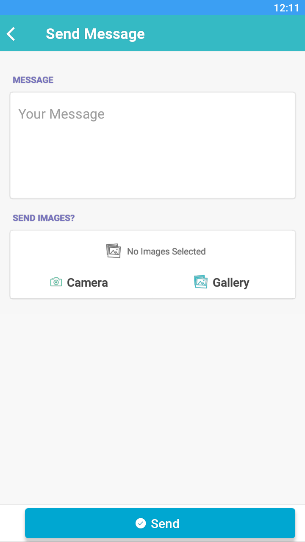 You can include your note and any pictures. You can also cancel your message by selecting the back arrow at the top left. When your message is complete, click the "Send" button to send.